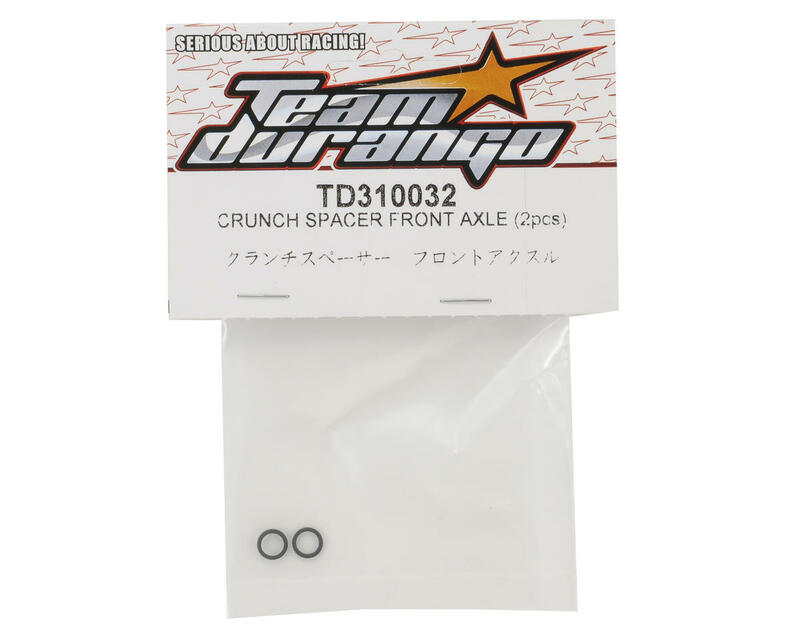 This is a replacement Team Durango Front Axle Crunch Spacer Set, and is intended for use with the Durango DEX410 and DEX410R. These crunch spacers stop the front wheel axle bearings from being clamped together when the wheel nut is tightened, keeping the front wheel axle bearings free-running. 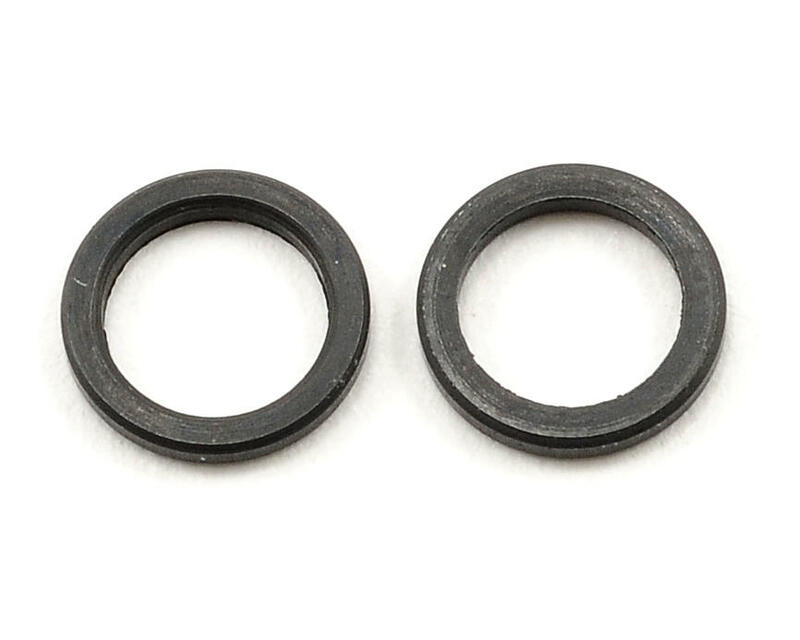 One pack includes two crunch spacers and is suitable for the front axles.